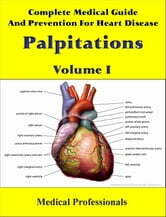 A palpitation is an abnormality of heartbeat that ranges from often unnoticed skipped beats or accelerated heartrate to very noticeable changes accompanied by dizziness or difficulty breathing. Heart palpitations can be symptoms of illnesses such as coronary heart disease, asthma, emphysema. Patients can notice palpitations through abnormal or normal awareness. The difference between an abnormal awareness and a normal awareness is that the former interrupts other thoughts, whereas the latter is almost always caused by a concentration on the beating of one's heart. 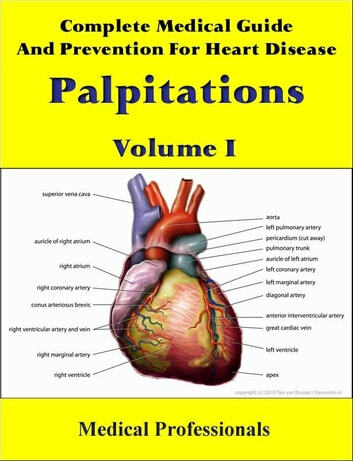 In general, a palpitation can be one of two types of beats, a premature atrial contraction, or a premature ventricular contraction. Palpitations may be brought on by overexertion, stress, anxiety, panic, adrenaline, alcohol, nicotine, caffeine, cocaine, amphetamines, and other drugs, disease (such as hyperthyroidism and pheochromocytoma) or as a symptom of panic disorder and many other factors. More colloquially, it can also refer to a shaking motion. It can also happen in mitral stenosis. Nearly everyone experiences an occasional awareness of their heart beating or weak chest, but when it occurs frequently, (more than 6 per minute as a rule of thumb) it can indicate a problem. Palpitations may be associated with heart problems, but also with kidney disease, electrolyte imbalances for magnesium and calcium, anemias, asthma, and thyroid malfunction. Attacks can last for a few seconds or hours, and may occur very infrequently, or more than daily. Palpitations alongside other symptoms, including sweating, faintness, frequent headaches, chest pain or dizziness, indicate irregular or poor heart function and should be investigated. The Best Darn CFS, Fibromyalgia and Adrenal Fatigue eBook! Your Missing Teeth Are Killing You! Are Common Heart Skip Palpitations Dangerous? Sleep Hacks: Tips for Apnea Cure Today!